Our mantra at Outback Organics has always been "effective, ethical and affordable". Outback Organics merges the latest makeup ingredients with innovative natural extracts from the seaside, forests and bush lands of Australia. Spas, salons, and beauty clinics has been given a range of Outback Organics that offers an effective botanical skin care solutions with an Aussie twist. Pride and passion are the main reasons we are in this industry, including care and attention to details. Paying attention to our customers and developing delightful botanical products based on their needs and recommendations are the two things we take pride in. 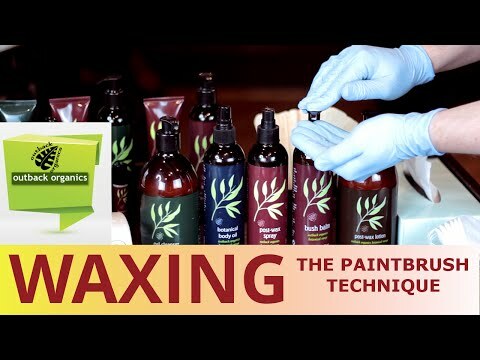 In 2010, we collaborated with the respected and award-winning specialist educator and waxer, Andy Rouillard, to produce the UK’s most thorough range of wax-related skin care products. Every product has been created from scratch by professional therapists in the industry, tackling the most complaints after hair removal including: irritation, pimples, and ingrown hairs.